The Language of Caffeine Country? Cappucino. Well, for me at least. But caffeine has a lot of forms. They can be found in chocolate bars, non prescription medications for weight loss, colas etc. This is a country where the people are already running for their caffeine quota just to make it through the day. It makes you feel energized, pumped up, jazzy and electrified. But unknown to us, we, the coffee holics (prime source of caffeine) are slowly being electrocuted. Studies show that many of the citizens of caffeine country has become irritable, angry and are lacking a good night’s sleep. They have headaches, uneasy stomachs and drowsiness. Sure, things that have to be done overtime are usually finished but our health is at stake. 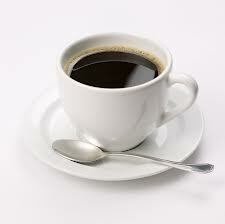 Caffeine by the way is a powerful stimulant and a drug. It stimulates our adrenal glands to pump out adrenaline to launch our already tired nervous system again into action. What to do? Consider these natural cures. Heard about withdrawal? Well, gradual caffeine withdrawal is best. If you are taking 4 cups a day, consider reducing it to at least half a cup per day until you reach at a certain number of cups that you are comfortable with. Of course there are withdrawal symptoms that can’t be avoided but you can get through it in a week or two. During this period, it’s also helpful to take a tyrosine supplement. This amino acid supplement has been known to boost the level of dopamine which thereby reduces cravings of people in all kinds of addiction including caffeine. Another interesting natural cure is the use of a spice cardamom. It’s an ayurvedic form of healing from India. Cardamom is known to be an antidote of caffeine. I recommend sucking on cardamom seeds during the withdrawal period. The brain will respond to cardamom as if you are actually drinking coffee without the ill effects of caffeine. And to beat the insomnia during caffeine withdrawal, take a warm bath and a well deserved whole body massage. It’s good to have a cup or two of coffee a day but too much might cause you to have a dim bulb where you used to have bright ideas.